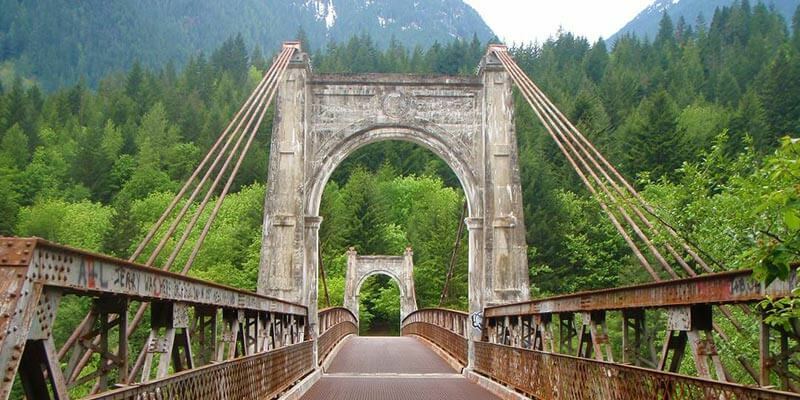 (CHILLIWACK) A Working Group has been formed to develop a strategy to save the historic 1926 Alexandra Bridge and develop the adjacent site’s heritage tourism potential. The group composed of members from First Nations, heritage tourism organizations and businesses, the Chinese Canadian community and representatives from the civic and provincial levels of government had their first meeting in Chilliwack on March 27. The Alexandra Bridge Project Business Planning Development Working Group has the goal of developing a business strategy and subsequent plan for the Alexandra Bridge site. The Working Group has the support of an Oversight Committee composed of the Alexandra Bridge Project Partners lead organizations. They include the Spuzzum First Nation (SFN), Ministry of Transportation and Infrastructure (MTI) and New Pathways to Gold Society. The plan developed by the Working Group will map out strategies for elements such as fund raising, community consultation and communications support to save the bridge and add new heritage tourism assets to the area. “The 1926 Alexandra Bridge is like the last Spike in the highways system and the surrounding area has been a gateway to the Pacific for thousands of years,” said Spuzzum First Nation Chief James Hobart. NPTGS Co-chair Terry Raymond said many great ideas were raised during the group’s first meeting, including using the upcoming Canada150 sesquicentennial as a rallying point to build support. “We hope to make this project a legacy of the Canada150 celebrations that tie Canadians across this country together, including First Nations, Chinese pioneers, gold rush settlers and others,” said Raymond. NPTGS First Nations Co-Chair Cheryl Chapman said the leadership shown by the SFN has been a key to the project’s progress in the last several years. “Chief Hobart and the Spuzzum People have a vision for a sustainable and viable future for their traditional lands and we’re excited that the Alexandra Bridge Project is part that vision,” said Chapman.